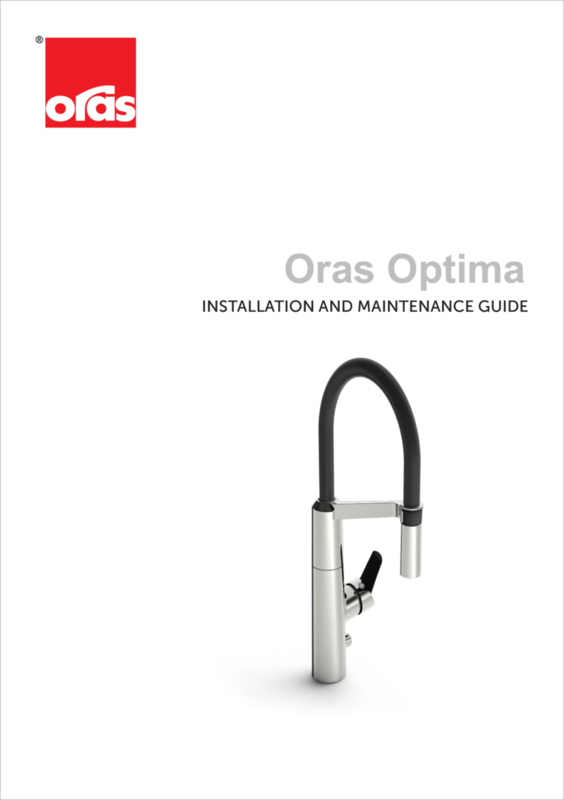 Kitchen faucet with side operated easy-grip lever, flexible high swivel spout, aerator and smart dishwasher valve. Spout’s swing angle is factory preset at 120° (can be limited to 60° or 80°). Dishwasher valve closes automatically after 4 or 12 hours (one push opens the valve for 4 hours, pushing for 5 seconds opens the valve for 12 hours). Battery operated, 6 V. The faucet is equipped with litter filters. F = with flexible pipes.